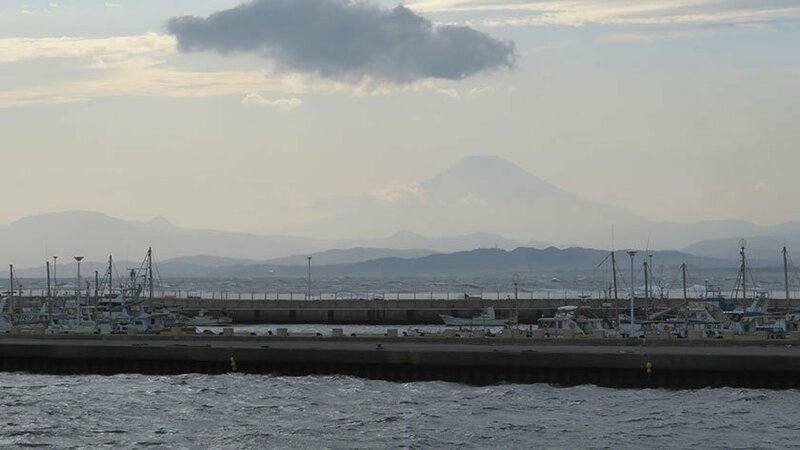 Located just off the coast near Kamakura, Enoshima is a small island that offers good seafood and views of Mount Fuji but very limited wheelchair accessibility. 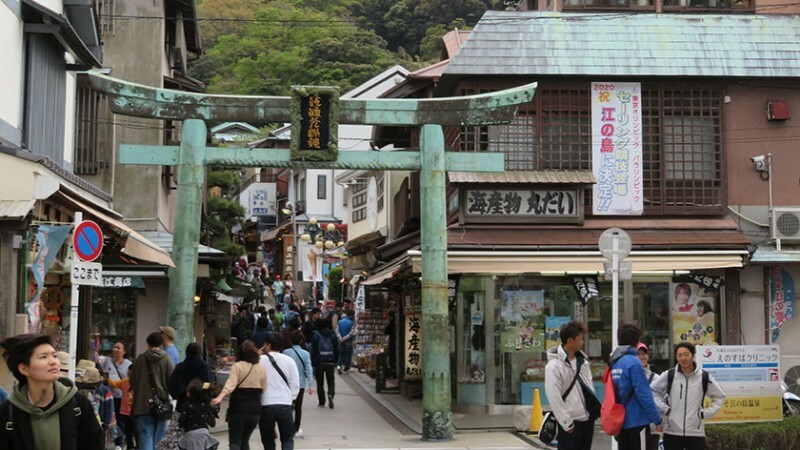 Believed to have created by Benten – goddess of good fortune, wealth, music and knowledge – before subduing a five headed dragon that had been terrorizing the town, Enoshima is a small island off the coast of Kamakura. The island is connected to the mainland by a bridge and is divided roughly into a town and a forested hill. 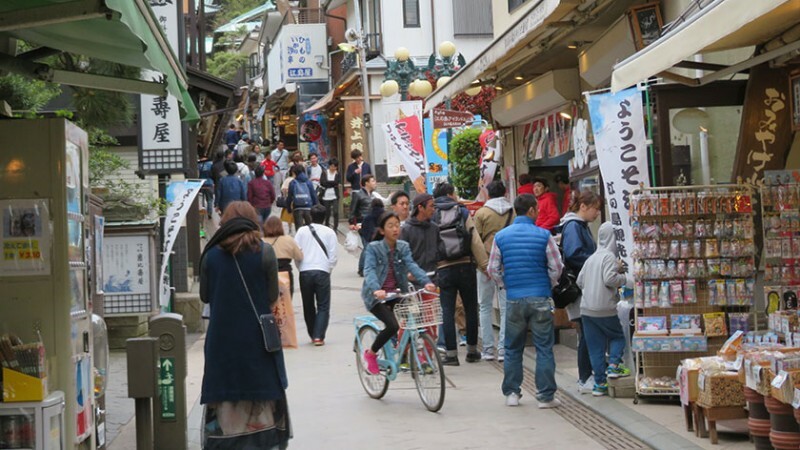 The town area has numerous restaurants and gift stores. 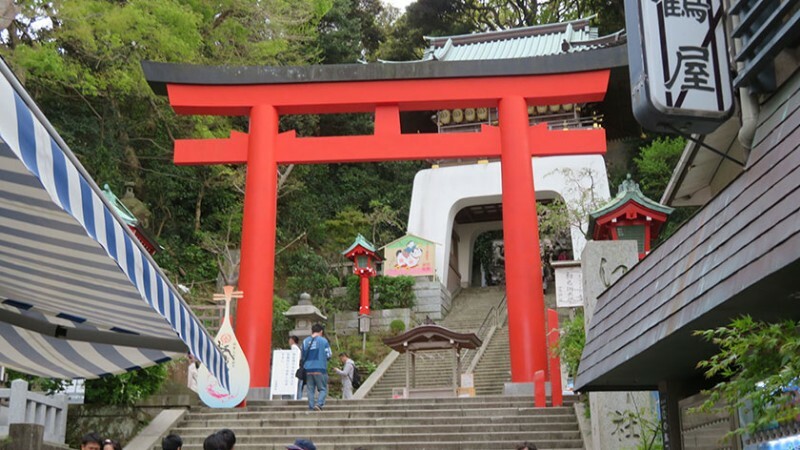 The forested area contains several shrines, a small park, caves and an observation tower. In clear weather, the west side of the island offers some breath-taking views of Mount Fuji across the ocean. On the mainland side of the bridge visitors can access the beach and enjoy a small aquarium. While the island has no hours of operation, some of the buildings and attractions on the island have varying hours. Enoshima can be accessed via Katase Enoshima Station on the Odakyu Line or Enoshima Station on the Enoden train line. 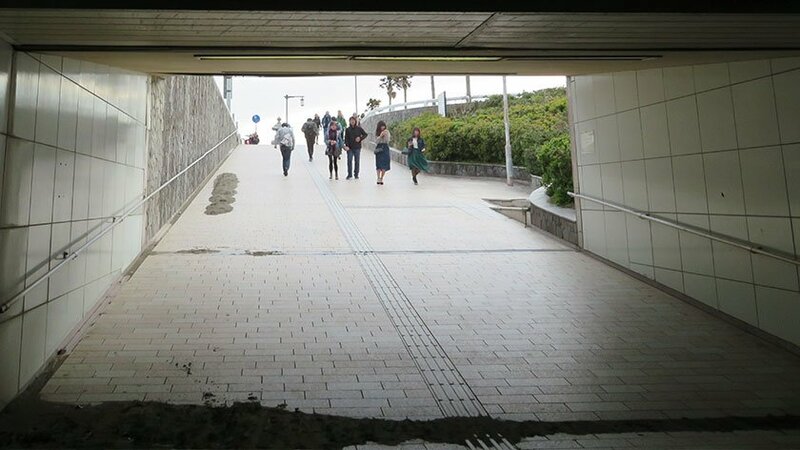 Please note that Shonan Enoshima on the Shonan Monorail is not accessible. 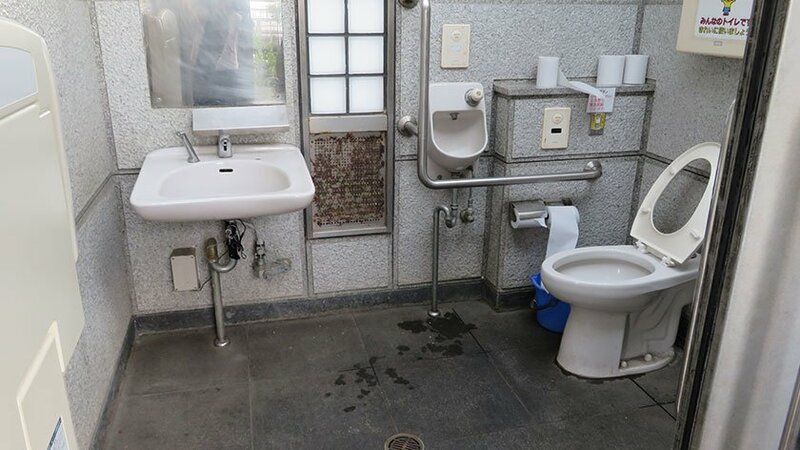 While a fun place to visit, a large majority of the island is inaccessible to those in wheelchairs or with other mobility difficulties. Crossing over to the island first requires going through a tunnel that has a rather steep entrance and exit that may be difficult for those in manual wheelchairs or with walking difficulties. 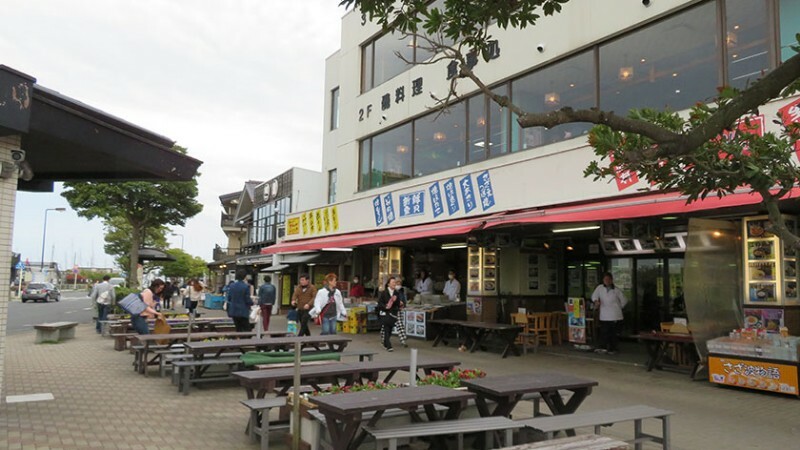 Once on the island, the stores and restaurants split off towards the yacht harbor area and towards the shrine. The street leading to the harbor is very flat and easy to use. 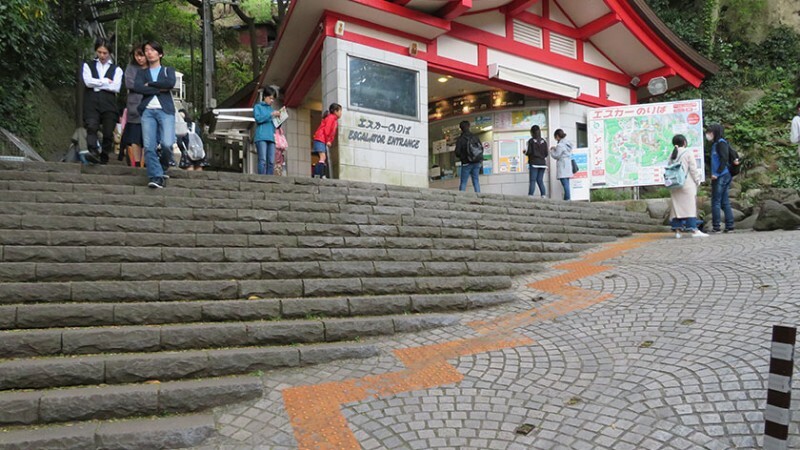 The street heading to the shrine is on a slope that gradually gets steeper and ends in stairs. Roughly half of the restaurants and stores themselves are accessible. 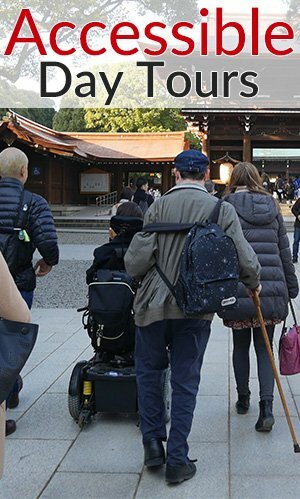 From the entrance of the shrine onward, the forested part of the island – including the park, observation tower, and caves – are completely inaccessible to wheelchair users. There are a few outdoor public washrooms that have accessible toilets. 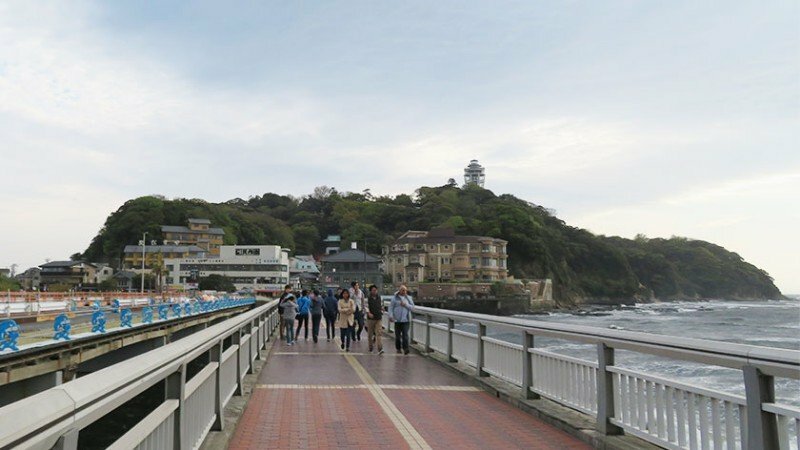 While the majority of the island is not wheelchair accessible, Enoshima still provides some good places to eat fresh seafood and enjoy a unique view of Mount Fuji. Leave your questions or comments about Enoshima here!